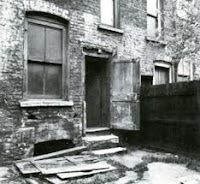 It was in the middle of the night on August 31, 1888, when 43-year-old Mary Ann (Polly) Nichols was found murdered in the Whitechapel district of London. 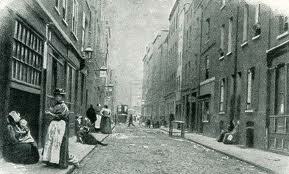 Nichols, a local prostitute, was found lying in front of a stable on Buck’s Row, with her skirts raised. Her throat had been cut twice and her abdomen slashed deeply several times. The coroner placed the time of death around 3 A.M.
About 1:45 on the morning of Saturday, September 8, 1888, 47-year-old Annie Chapman found herself without money for lodging. Worse for drink, she headed out into the streets to earn the necessary funds. Her body was discovered around 6 A.M. Her throat had been severed by two cuts, and her abdomen had been laid open. It was later discovered that her uterus had been taken. 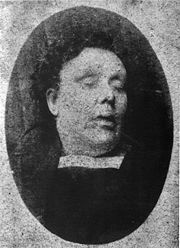 Annie Chapman was buried at Manor Park Cemetery on Friday, September 14, 1888. 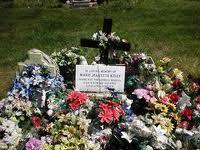 Her funeral was kept secret by her family in order to avoid crowds. Chapman’s grave no longer exists; it has since been buried over. It was after Chapman’s death that the police realized the same person could have committed both her murder and that of Mary Ann Nichols. The two crimes were so similar that the investigations were merged into one and officials began searching for one suspect. 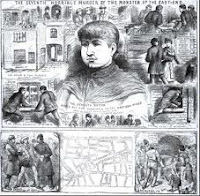 After Chapman’s murder, the public, panicked by the thought that a murderer was loose on the East End, began observing curfews, careful to travel in groups. 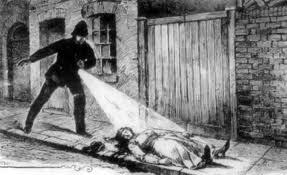 The police began investigating any lead that came their way, many hoaxes dreamed up by those wanting to trick the local police. But after three weeks without a murder, it seemed that maybe the worst was over…. The night of September 29th was wet and cold. 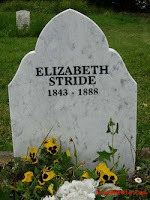 Forty-four-year-old Elizabeth Stride had been drinking with friends that Saturday evening, spending the money she’d earned earlier in the day, cleaning rooms. Around 11 P.M. she was seen working the streets. At 12:45 A.M. on September 30th, Stride’s body was discovered. She was lying by a fence in the yard near the International Workers Educational Club. Her throat had been gashed deeply, but it appeared the murderer had left quickly. Elizabeth Stride was buried on Saturday, October 6, 1888 in the East London Cemetery at Plaistow. The local parish provided for her short funeral and burial. The police had just arrived on the scene of the Stride murder when yet another murder was occurring nearby. Forty-six-year-old Catherine Eddowes had spent her Saturday evening in a cell for drunks at the Bishopsgate police station. She was released at 1 A.M. when she was able to stand and walk out of the station unaided. 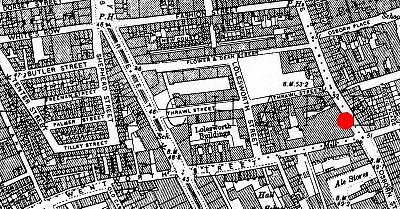 At 1:45 A.M. Eddowes mutilated body was found by a beat cop in the corner of Mitre Square. Her throat had been cut, her face disfigured, her abdomen laid opened, and the intestines pulled out and laid over a shoulder. Her left kidney and most of her uterus had been taken. 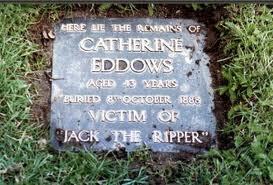 Catherine Eddowes was buried on Monday October 8, 1888 in the City of London Cemetery in an unmarked grave. A plaque was placed by cemetery officials in 1996. 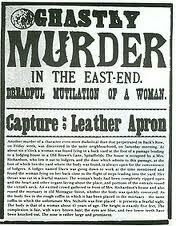 The last murder officially attributed to Jack the Ripper occurred sometime during the early morning hours of November 9, 1888. Twenty-five-year-old Mary Jane Kelly had gone out about 11 P.M. on Thursday, November 8th. She returned to her room in Miller Court around 11:45 with a man. She was heard singing in her room around 1 A.M. and was reportedly seen taking another man to her room sometime after 2 A.M. A neighbor reported hearing the cry of “Murder” about 4 A.M. and someone leave the room close to 6 A.M. It was almost 11 A.M. Friday morning when a man sent to collect Kelly’s rent, looked through her window and saw what was left of her mutilated body on the bed. Police determined that she had been killed by a slash to the throat before the mutilations were performed. It was reported that her heart was missing. 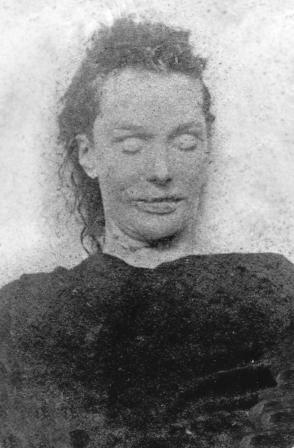 Kelly’s body was the most maimed and disfigured of the five. 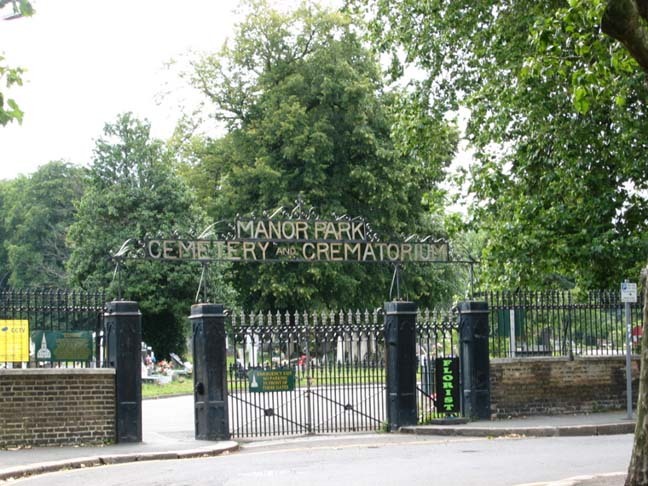 Mary Jane Kelly was buried on Tuesday, November 19, 1888 at St. Patrick’s Roman Catholic Cemetery in Leytonstone. No family attended her funeral. During the 1950’s, the cemetery reclaimed Kelly’s grave. A small plaque was placed in the cemetery in the 1990’s. Although the M.O. 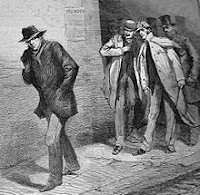 (modus operandi) does not follow the Ripper’s later actions, it could be that he had yet to settle on a technique. 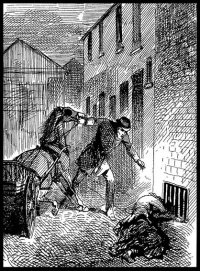 It is considered more likely that the media made the connection for added interest to the Ripper murders during the autumn attacks. The other murder, prior to the “Autumn of Terror”, involved 39-year-old Martha Tabram. She was murdered August 7, 1888 in Whitechapel. She died from 39 brutal stab wounds. 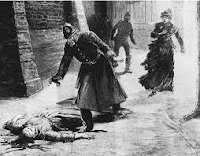 Police thought that the closeness of the date to the five attributed murders, along with the savagery of the attack, a lack of motive, and the location warranted it to be considered as a Ripper murder. It is worth noting that both women fit the victim profile; dark hair, single, heavy drinker, prostitute. No one was ever arrested in either murder. 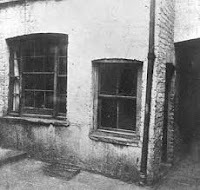 The other “Whitechapel Murders” included Rose Mylett, Alice McKenzie, Frances Coles, and a woman who was never identified. 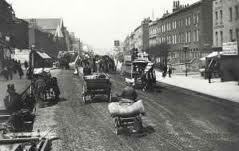 The “Whitechapel Murders” occurred from April 3, 1888 to February 13, 1891. 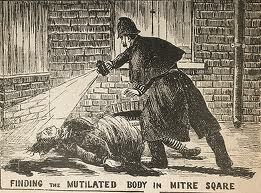 A total of eleven women, all prostitutes in the Whitechapel area, were brutal murdered. Five were attributed to Jack the Ripper, the others were considered to likely be Ripper victims. Police questioned over 2,000 people during and after the murders. Of those, over 300 people were investigated; eighty were taken in and detained. Although scrutinized, most were not believed to be seriously involved. 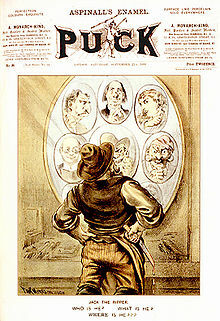 Some were considered but had alibis, and a few have remained top suspects for well over 100 years. But no one was ever charged with any of the murders. 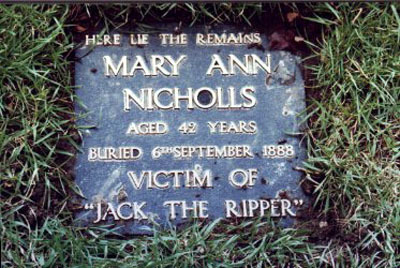 After 126 years, it is doubtful that the identity of Jack the Ripper will ever be known. It appears the murders of this serial killer will remain part of a historical whodunit for all time.